Cricket Australia (CA) and Bangladesh Cricket Board (BCB) are in negotiation with each other over the timing and format of the tour tentatively scheduled for later this year after the previously planned visit by Steve Smith-led side was called off due to security reasons. 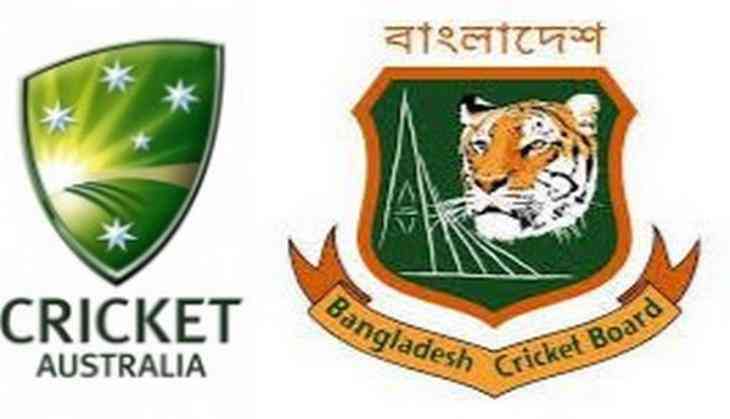 Although Australia are expected to visit Bangladesh in July for two-match Test series as per the original 2015 proposal, CA has reportedly suggested change in tour to an ODI-based visit keeping in mind the limited-overs tour of India in October before the Ashes series at home. The BCB, on the other hand, is believed to have conveyed to their Australian counterpart their preference for the tour to remain as originally mapped out, especially because Bangladesh are presently in their best Test-match form in their history. Reflecting on their probable tour, a CA spokesperson said while they are still hopeful of touring Bangladesh in the near future, the security of players still remains a primary concern for them. "We are still hopeful of touring Bangladesh in the near future but the safety of players and officials will always come first. We will continue to monitor advice from the Australian Security Intelligence Organisation, the Department of Foreign Affairs and Trade, and our own security advisors about the security risk for any future tours of the Australian team in Bangladesh and make a decision based on this advice closer to any potential tour," ESPNcricinfo quoted the CA as saying. In October 2015, Australia had postponed their Test tour to Bangladesh after receiving advice from the federal government that there were "high risks" if they went ahead with the tour, and Australia also did not send a team to the Under-19 World Cup in Bangladesh in early 2016. Australia have not played a Test series in or against Bangladesh since 2006.